Knowing that his reputation was at stake following the much publicised Tora! Tora! Tora! debacle, Kurosawa tried to move quickly to a new project that would prove that he was still a viable filmmaker capable of box office success. To his aid came friends and famed directors Masaki Kobayashi, Keisuke Kinoshita and Kon Ichikawa, who together with Kurosawa established a production company in July 1969 which they called Club of the Four Knights (Yonki no kai). The plan was for each of the four directors to create a film under the new banner, although it has been suggested that the real motivation for the other three directors was to make it easier for Kurosawa to successfully complete a production, and therefore find his way back into the business. The first film proposed and worked on was a period film called Dora-heita, but as it was deemed too expensive, attention shifted to Kurosawa’s Dodesukaden. It is a vignette-like adaptation of a Shūgorō Yamamoto novel, an author whose works had also provided the basis for Sanjuro and Red Beard. The script, co-written with Hideo Oguni and Shinobu Hashimoto, was finished in just a week, and preproduction began on March 31, 1970. Despite being his first completed colour film and his first film in 4:3 standard ratio since The Lower Depths over a decade earlier, the film was shot very quickly for Kurosawa’s recent standards, filming beginning on April 23 and finishing on June 29, with the director determined to show that he was still capable of working quickly and efficiently within a budget. Before the film’s release in Japan, Kurosawa travelled to Russia in August, where Dodesukaden was shown at the Moscow International Film Festival and garnered a positive reaction, with the Soviets suggesting that the director should one day make a film in their country. Dodesukaden was released in Japan on October 31, 1970, but although it was a minor critical success, the film was greeted with an indifferent audience reaction. As a result, Dodesukaden ended up losing money and caused the Club of the Four Knights to dissolve after just one film in their name. Initial reception abroad was somewhat better, but Dodesukaden has since been typically considered something of a lesser work, an interesting experiment but not a film comparable to the director’s best efforts. After Dodesukaden failed to re-establish him as a major box office figure in Japan, Kurosawa’s options diminished again. Almost a year went by with Kurosawa, who was shopping around a Dostoyevsky adaptation, unable to secure funding for further work, while allegedly also suffering from health problems. An opportunity was given to him by Nippon TV. 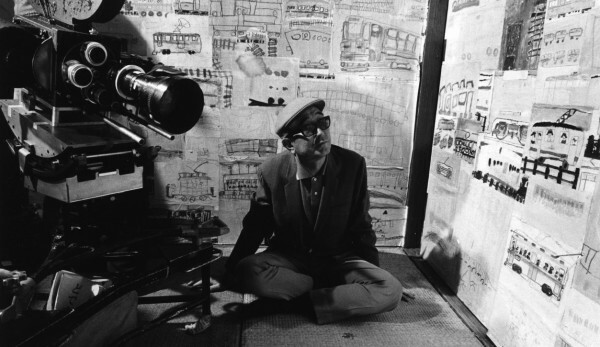 Some Japanese directors such as Shohei Imamura had already deserted the struggling conventional film industry and turned to lower budget documentaries and television productions, and Kurosawa appeared to be keen to consider it as a potential option also for himself. As a result, he directed a television documentary titled Song of the Horse (Uma no uta) which premiered in August 1971. But this appeared not to lift his spirits. On December 22, 1971, soon after relocating his family to a smaller place in Tokyo, the 61-year-old director attempted suicide by slitting his wrists. The attempt proved unsuccessful and the director’s health recovered fairly quickly, with Kurosawa now succumbing to quiet domestic life, uncertain if he would ever direct another film again. 1972 was a year without film work of any kind, but in early 1973 a sudden contact was made by the Russian film studio Mosfilm, asking if Kurosawa would be interested in working with them, just like they had suggested during his Russian visit a little over two years earlier. Kurosawa agreed, proposing an adaptation of Russian explorer Vladimir Arsenyev’s memoir Dersu Uzala, something that he had been wanting to film since the 1930s. Things moved forward relatively quickly and a contract was signed on March 14. Work on the script began with Kurosawa collaborating with Russian writer Yuri Nagibin through translators and mail, an arrangement that had five years earlier proven difficult with the Americans, but seemed to work much better with their Russian counterparts. On December 11, 1973, Kurosawa set off to the Soviet Union with four of his closest aides. This was the beginning of their year and a half long stay in the country. Early 1974 was spent in preproduction, with shooting beginning on May 27 in Siberia, and moving to Moscow in early 1975. The production proved very demanding, but filming finally wrapped on April 28, 1975 and a month-long postproduction followed, with a thoroughly exhausted and home sick Kurosawa returning to Japan and his family on June 18. Dersu Uzala had its world premiere in Japan on August 2, 1975. The film did well at the box office and while critical reception in Japan was muted, the work was better reviewed abroad, going on to win the Moscow International Film Festival’s Golden Prize, as well as an Academy Award for Best Foreign Language Film. Today, critics remain divided over the work, some seeing it as an example of Kurosawa’s artistic decline, while others counting it among his finest and most beautiful works. Despite the international success of Dersu Uzala, Kurosawa found himself again without work in the struggling Japanese film industry. The demanding Russian production had also negatively affected his health, and although proposals for television projects were submitted to him, he had no interest in working again outside of the medium of the big screen. Nevertheless, in order to maintain his family’s standards of living, the director agreed to appear on television ads for Suntory whiskey, which aired in 1976. While the prospects of the 66-year-old director’s professional life seemed gloomy, there was more happiness to be found in his personal one. His 21-year-old daughter Kazuko married in May 1976, and the following year Kurosawa became a proud grandfather. He also travelled, visiting India in 1977, where he met Michelangelo Antonioni and Satyajit Ray. 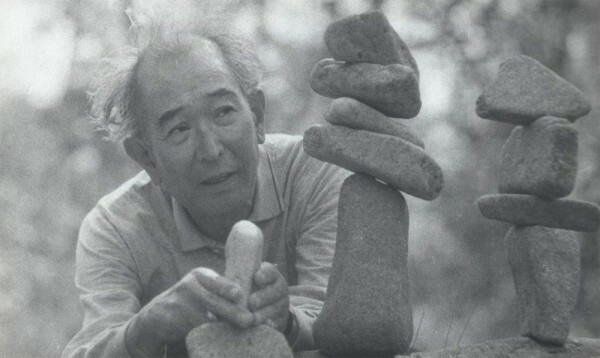 Although Kurosawa was again convinced that he might never be able to make another film, he nevertheless continued to work on potential projects, writing screenplays and creating detailed illustrations for them with the intention of leaving behind a visual record of his plans in case he would never again be able to put his stories on film. Fortunately, it turned out that those illustrations would not be the only form in which his stories would be realised.